Providing the possibility to rate or review content on your WordPress website is one of the best ways to motivate users to engage with your site. Website visitors can thus share their opinion about movies, articles, videos, books and other content and items of any kind. To provide fully-functional review systems on your website, there are many great WordPress review themes available which offer different additional features you might find useful to set up your website accordingly. Using WordPress, you can create all types of websites for any content genre and suitable WordPress themes are very useful as they offer certain features you might need to set up your site to meet your requirements. The same applies to modern and appealing review websites. There are many great review WordPress themes which cater to certain needs, you will find some with WooCommerce or BuddyPress compatibility, others with lots of layout options and again some where you can create your own review criterias. We have collected some of the most popular and flexible premium WordPress review themes which are ideal for all kinds of websites – business, personal, creative or commercial. 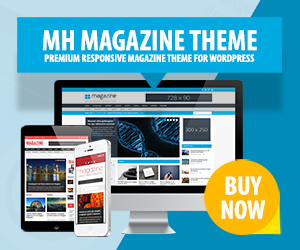 You may use these review themes for fresh online magazines, simple blogs, vivid online stores, neat book review websites or anything else. Please have a close look at the provided features to see if they fit your requirements and offer all those things you have in mind for your review website. Minimosity is a beautiful review WordPress theme with a fully responsive layout as well as retina support. This review WordPress theme is ideal for fancy online magazines and news websites or other editorial related websites about fashion, lifestyle or else. Minimosity comes with a built-in review system to let users rate content on your website….